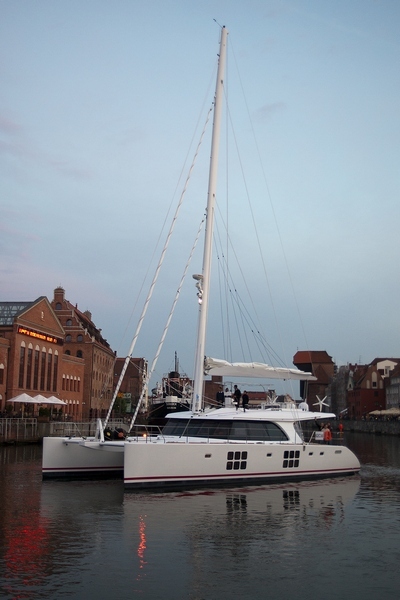 Sailing yacht IN THE WIND is a Sunreef 62 catamaran launched in 2011. 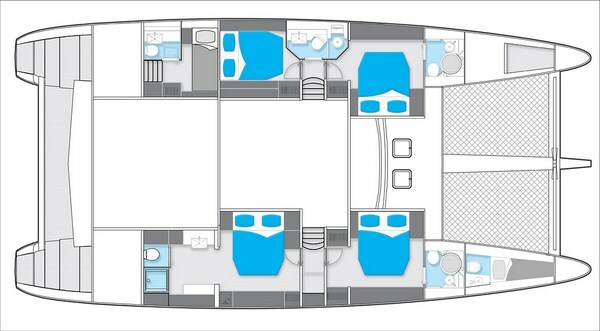 First of its class and one of a kind, the Sunreef 62 IN THE WIND takes design and technology to the next level. 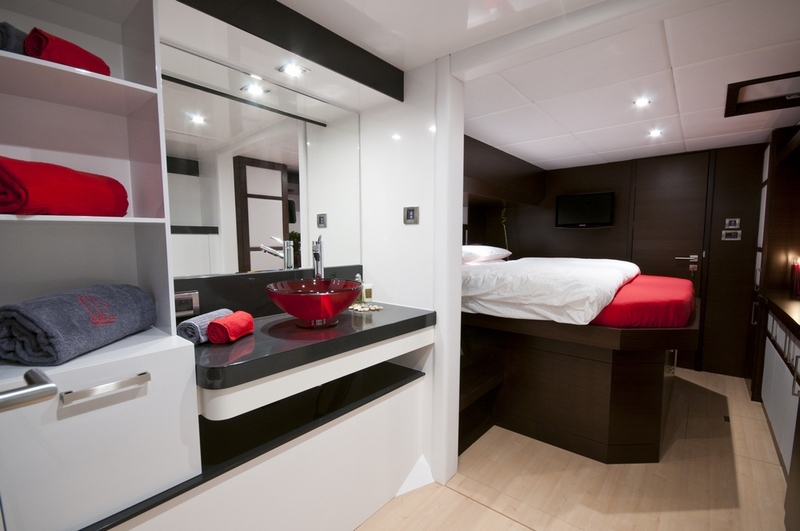 She accommodates 8 charter guests, in 4 cabins. 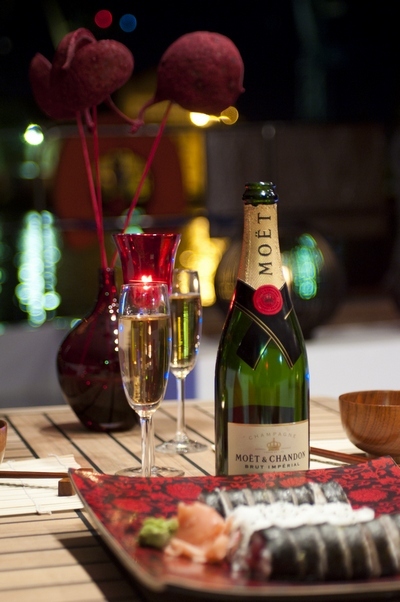 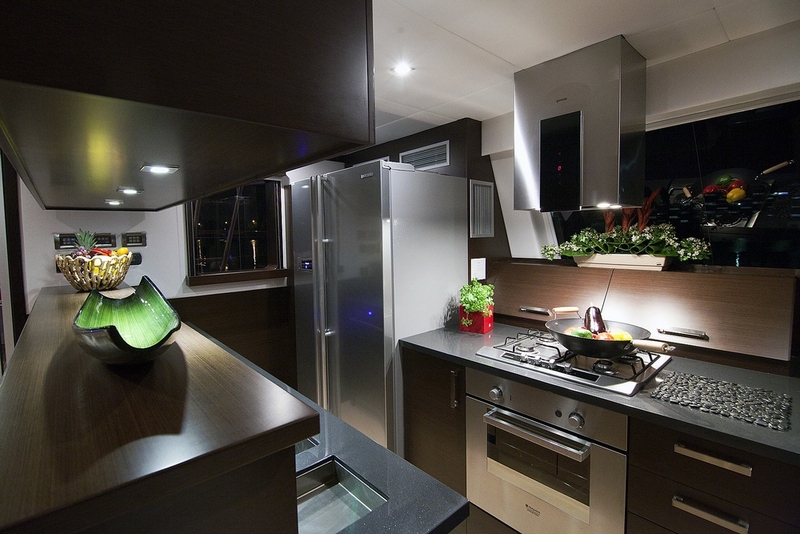 S/Y IN THE WIND boasts a modern Japanese style interior design. 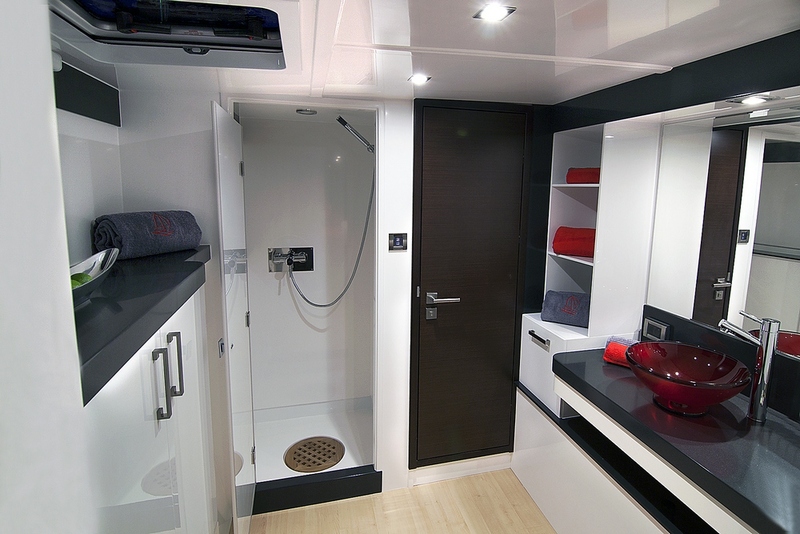 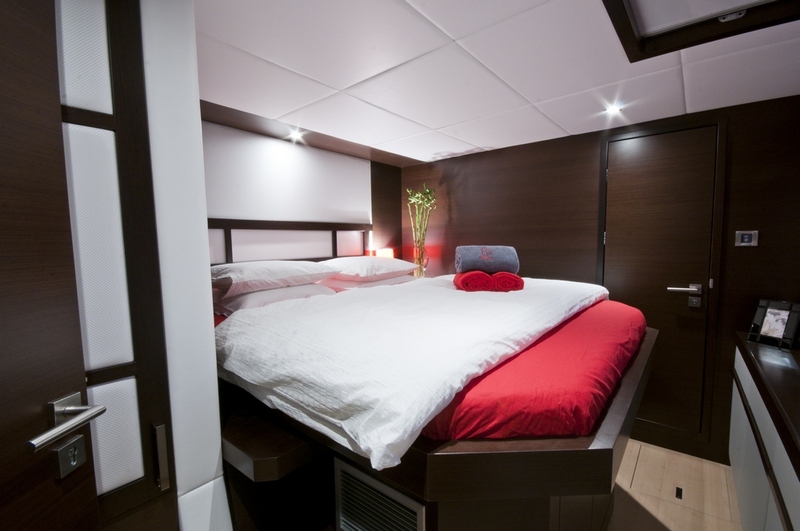 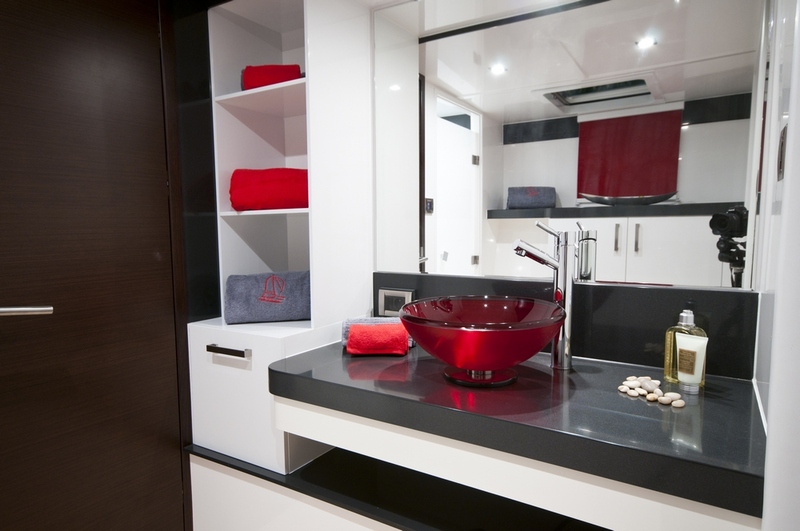 Wenge wood adds a deep contrast to the light ceilings and floors, with soft red accents to enhance the elegant simplicity of this luxury charter catamaran. 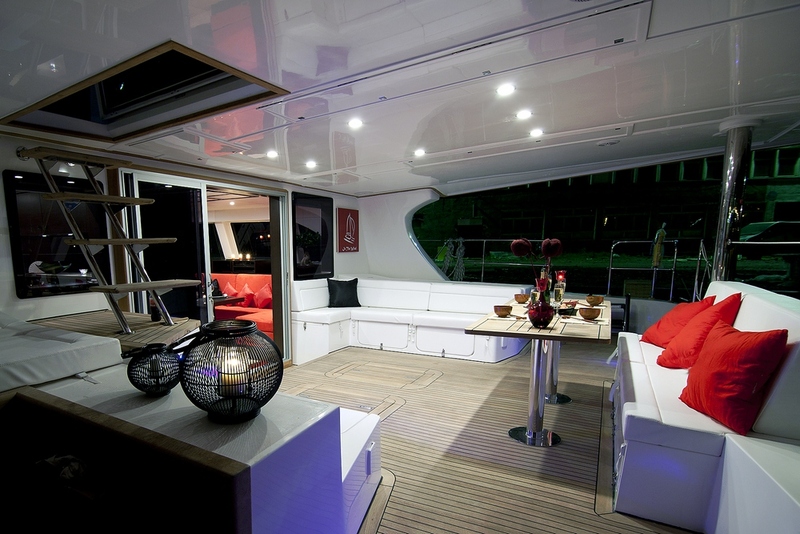 Her inviting atmosphere will exceed expectations, showcasing creative furnishings such as discrete low rising tables and wide roomy sofas, designed to suit any occasion. 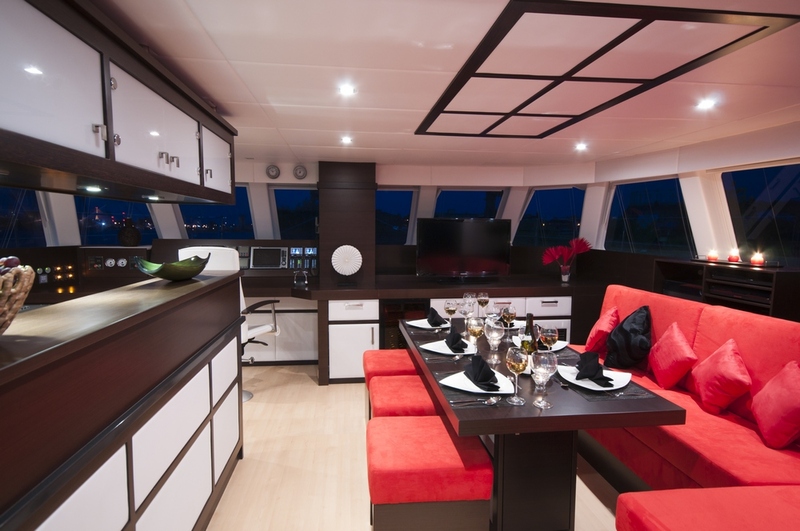 Catamaran IN THE WIND features an innovative use of space enabling guests to relax, socialize or dining in any area in comfort. 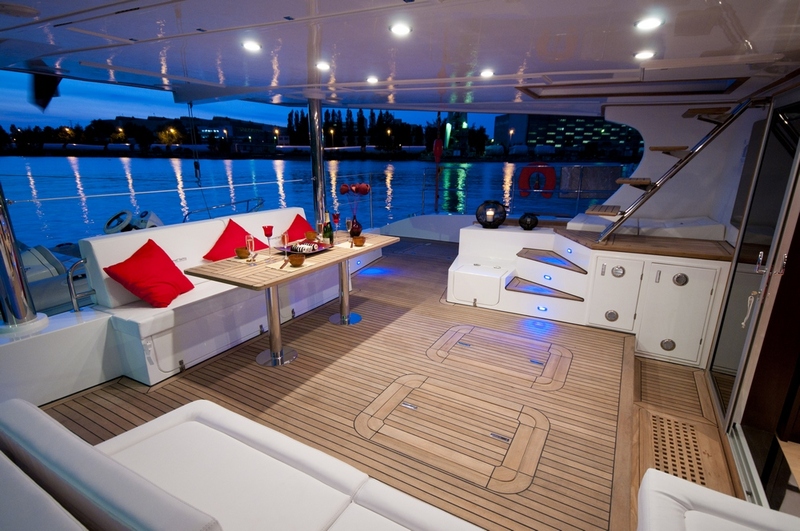 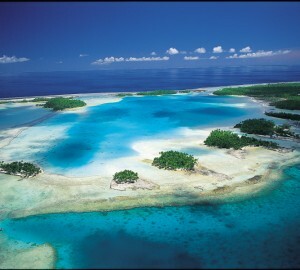 Her incredible views through the panoramic windows, allows guests to enjoy the beauty of sailing, inside or out. 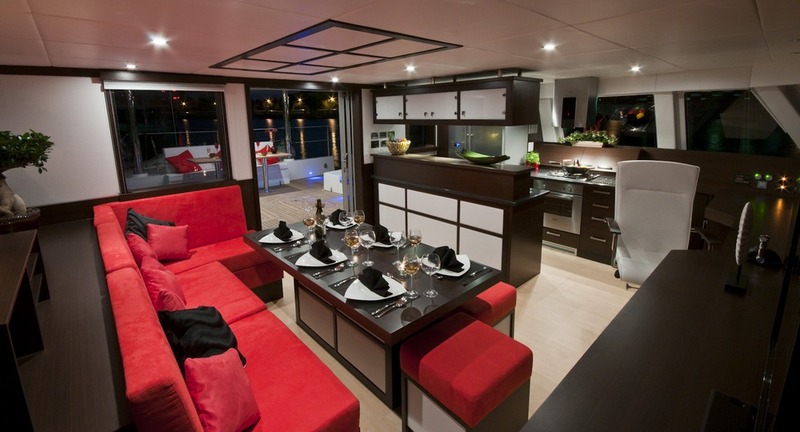 The center for entertainment is the open, sleekly designed galley fitted with high tech appliances. 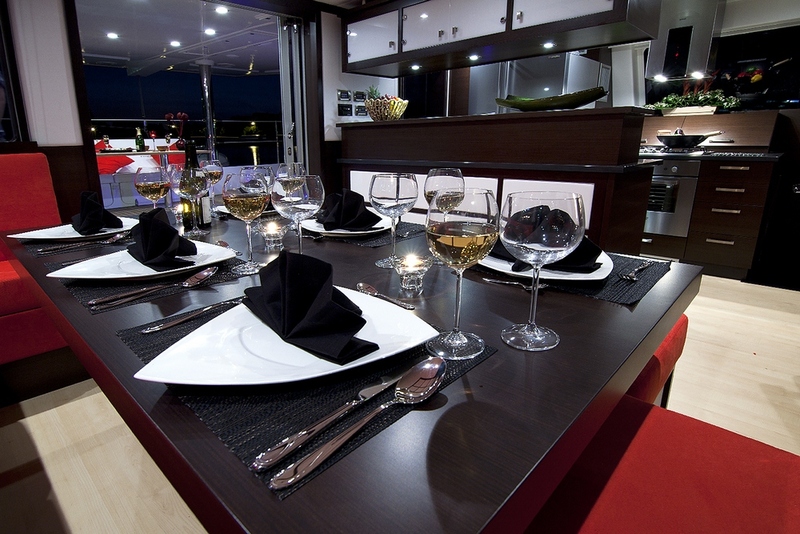 The wet bar is ideal for entertaining and engaging in the culinary creations of the talented chef. 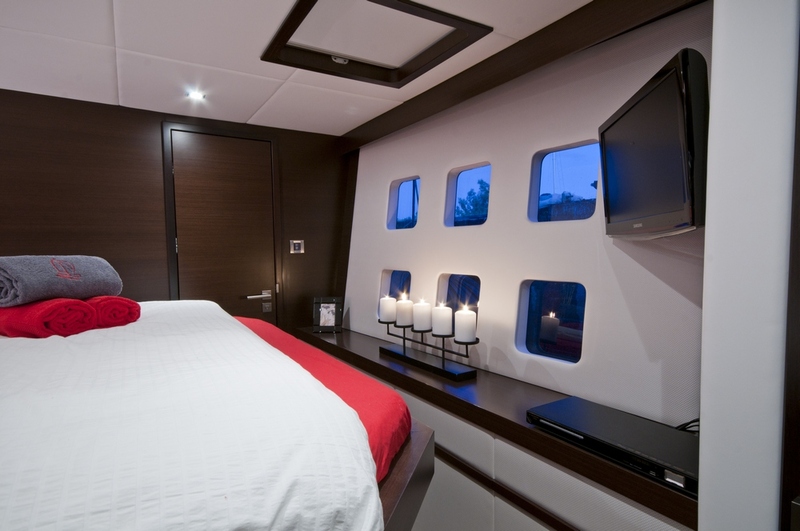 Guests can discover the exhilaration of high-performance sailing, while admiring the impeccable detail of this iconic catamaran while relaxing in the main outdoor areas on the plentiful lounge cushions. 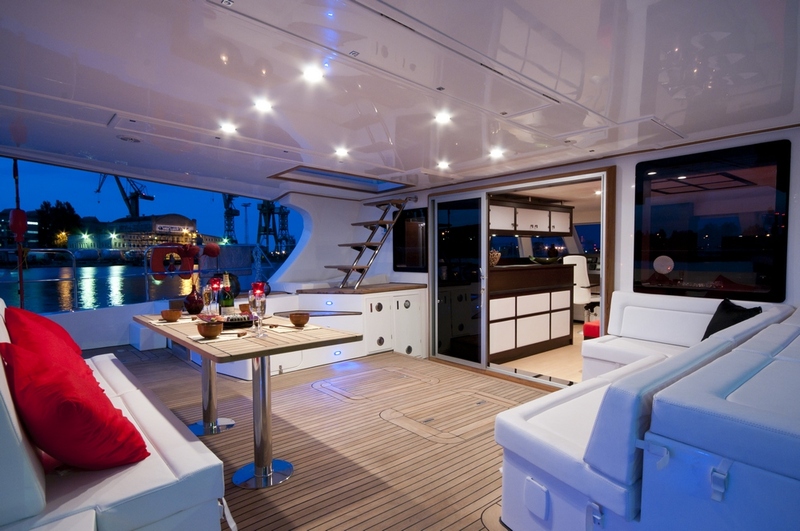 The impressive flybridge displays the top quality helm station with the capability to be docked single-handedly. 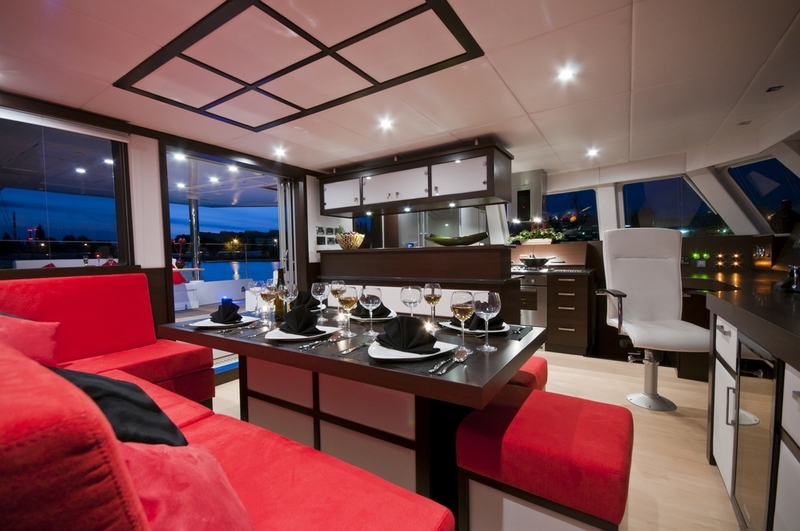 There is a generous amount of seating available in the sun or shade. 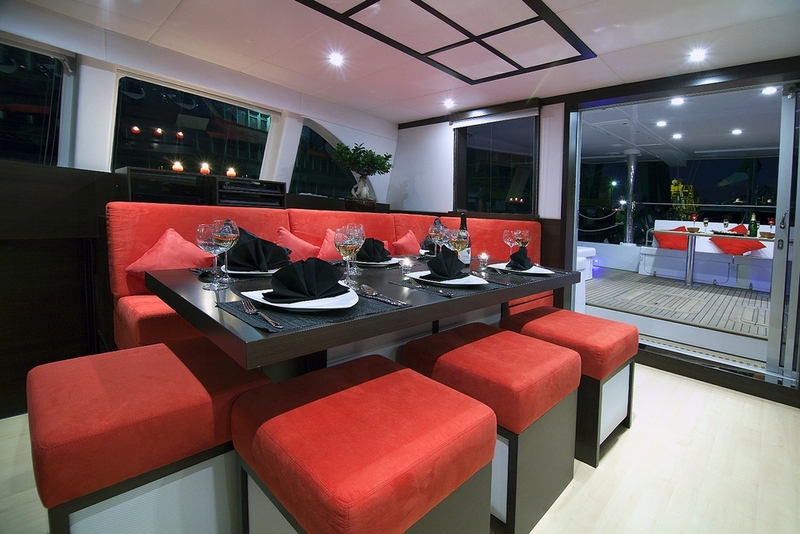 The lower deck is the ideal space to dine or relax and in the evening the high tech LED lighting from above adds extra sparkle and ambiance to your evenings. 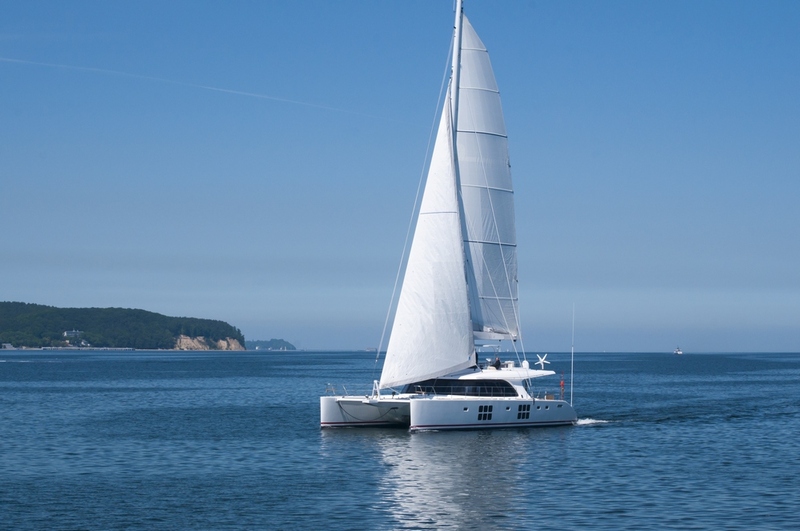 The optimal hull length of the IN THE WIND yacht, composed of high-tech composite materials via vacuum infusion, make smooth and swift speeds possible. 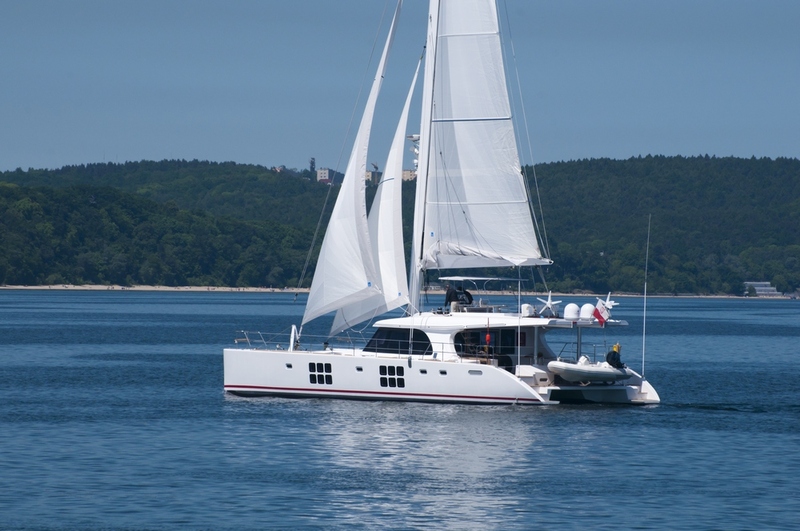 She is equipped with all the essentials for water sports activities including water skis for both adults and children, kayaks single and double, snorkeling gear, fishing gear, and a kneeboard. 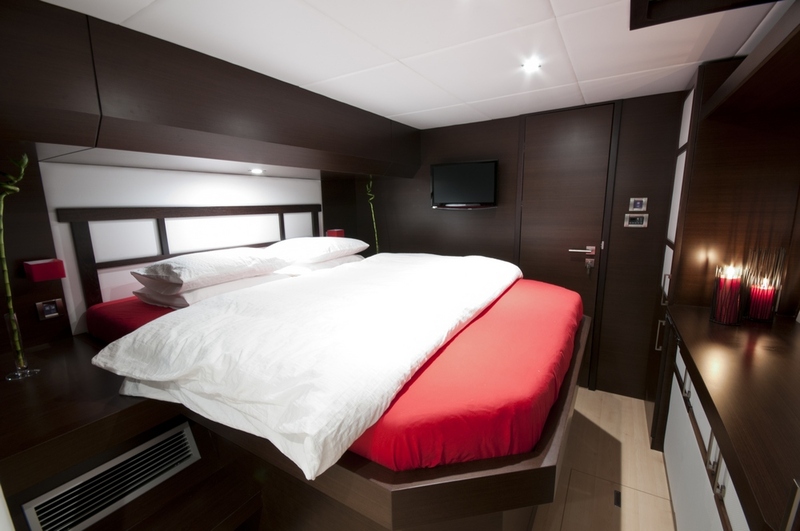 Luxury sailing yacht IN THE WIND is able to accommodate up to 8 guests in 4 stylish cabins, comprising a master cabins, 2 double cabins and a twin cabin.